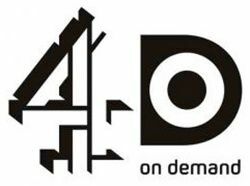 All-new 4oD launches on Channel4.com from August 31st | What Hi-Fi? The broadcaster says the upgraded service has a host of new features all geared towards enhancing the user experience. New elements include more efficient predictive search and viewer driven recommendations to help make it easier for people to find what they're looking for. The new 4oD player is optimised for in-page viewing, and allows users to discover related and viewer recommended shows form the catch-up and archive libraries. Sarah Milton, Channel 4's Head of VoD, says: "We have refined and optimised the design to ensure viewers get the best experience from the wealth of content Channel 4 has to offer. "We have more than 5,000 hours of archive programming available on the Channel4.com 4oD service, and the redesign makes it even easier for users to browse our offering." 4oD is available through Channel4.com, YouTube, Virgin, BT Vision, TalkTalk, PlayStation3 and an iPad app. A downloadable 4oD app for the iPhone and iPod Touch will launch in September.